Spray tan tips. Midnite sun spray tan. Midnite Sun Spray Tan. Sun Tan City Spray Tan. Tropitan. Tropitan Spray Tan. Electric beach. Good spray tan. Cheap spray tan. Non streaky spray tan. Spray tan machine. Versa Spa. good spray tan. best spray tan. Spray tan near me. Best spray tan near me. Sunless tan. sunless tanning. best sunless tan. Exfoliate – prep the skin by removing dead skin and creating a smooth surface for even tanning results. Spend a little extra time on dry areas such as knees, elbows, feet and hands. Avoid Moisturizing – with lotion, especially those with a high amount of silicone, at least two hours prior to sunless tanning as lotions can create a barrier. For best results use products specifically formulated for sunless prep and post treatment sold only in salons. Always watch the instruction video provided at the salon. Wait at least 6 – 12 hours before showering. The longer you wait, the better. Don’t worry if color is seen washing off the skin during the first shower, this is only the immediate cosmetic bronzer. What is left behind is a beautiful sunless tan! Do not moisturize, swim, or exercise until after the first shower. Moisturize daily with a tan extender, starting after the first shower, to help maintain a longer – lasting tan. If the color starts to fade unevenly or if the sunless tan needs a color boost – apply a self tanner! At Midnite Sun We Only Sell The Best Products! Which is why we are so excited to exclusively sell California Tan Sunless Products! 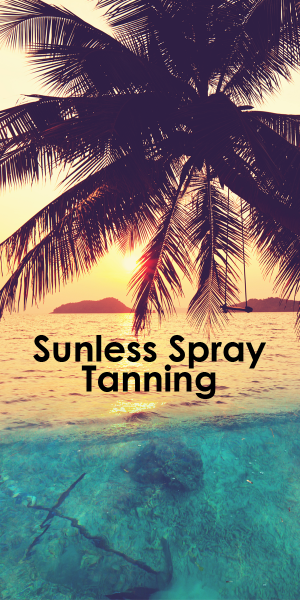 California Tan uses the best ingredients in their sunless products to give you a flawless, natural looking sunless tan!